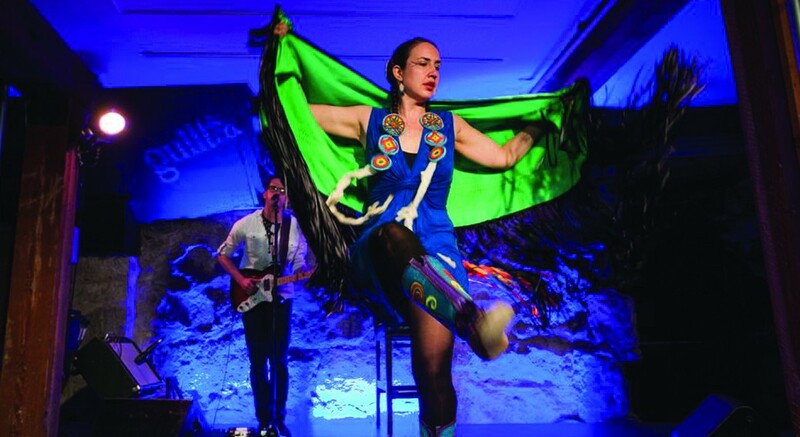 Steppin’ is an energetic, knee-slapping, toe-tapping contemporary Métis jig solo, which is fun for the whole family. It is a celebration of the joy of movement, the healing in dance, the significance of heritage, and the love of Métis culture. Original sound design by Wayne Lavallee and guest Métis fiddler JJ Lavallee. Jeanette Kotowich is a Cree/Métis Vancouver-based professional contemporary Aboriginal dance and performing artist originally from Saskatchewan. She holds her Bachelor of Fine Arts from Simon Fraser University. Jeanette is a seasonal dancer with Dancers of Damelahamid, Raven Spirit Dance, and Compaigni V’ni Dansi. In the NDN way, a young Cree teacher/philosopher inspires a budding Radio Doc maker to create her first Documentary with his hour-long synthesis of the Cree world view in 1974. Two performers will physicalize his awe-inspiring words as they are reimagined, remixed and interpreted in a highly theatrical, visual art-warp on the stage. Multiple Dora and Gemini Award-nominated Brian Solomon is of Anishnaabe and Irish descent, from the Northern Ontario village Shebanoning-Killarney. 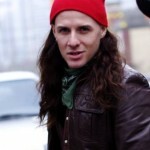 He is a graduate of the School of Toronto Dance Theatre, and holds a MA of performance from the Laban Center. Equating Echoes explores themes of lost and regaining one’s self in a blend of powwow dancing and movement to guitar (in feature picture). 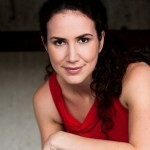 Nyla Carpentier is a multifaceted performing artist currently residing in Vancouver. Of the Tahltan and Kaska First Nations, Nyla is also French and Scottish. Nyla has been powwow dancing for over 25 years and has traveled to many powwows and danced in multiple festivals. She also teaches the various powwow styles, sharing the dance steps and the history. David Newberry is a critically acclaimed literate indie-rock songwriter and performer known for his haunting original lyrics and compelling stage presence. Equally at home performing as a solo artist or as the charismatic front man to his powerful band, Newberry gives his audiences a unique insight into a narrative that is at once deep, dark and fundamentally uplifting. Compass tells the story of one woman’s surreal journey navigating the River of Time. Her ancestors call from the River’s edge and she answers. Only by letting go of her shadows can she survive the pull of the current that threatens her survival. Olivia C. Davies is mixed heritage, Métis-Anishnawbe Kwe from Ottawa. Classically trained in Ballet and Modern Dance, Davies studied at York University and went on to specialize in Contemporary Dance-Theatre. 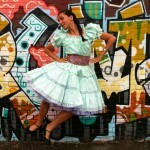 Davies is an independent dance artist practicing her art form in Vancouver on unceeded Coast Salish territory member. Ahwisgvsgo’i means “she/he is always planting” in the Cherokee language and is the name of Maura Garcia Dance’s multi-media project about Indigenous planting traditions, the elements and our places in the world. collaborates within communities to create stories of identity and place. She is fascinated by stories that have been hidden and the unexpected connections that arise when they are rediscovered. Maura is an Indigenous woman (Cherokee/Mattamuskeet), originally from North Carolina, who brings her own mixedblood southern story to all of her work.